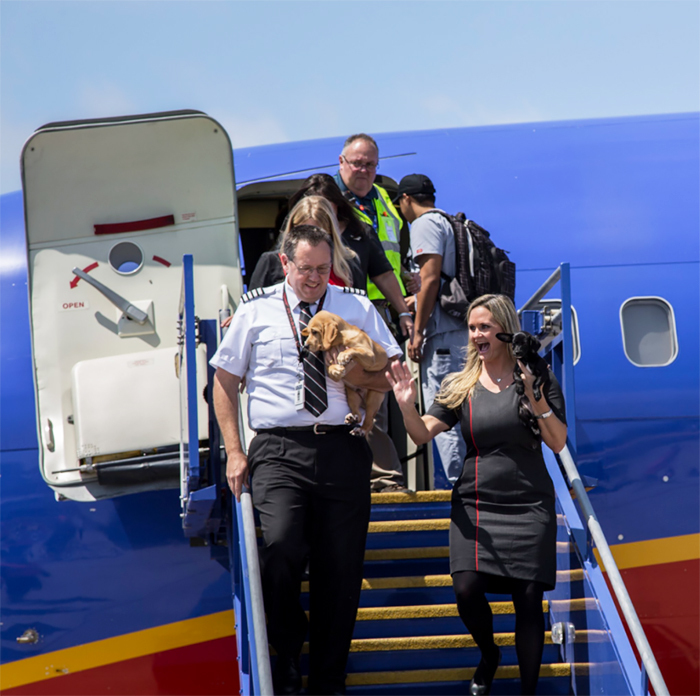 In scenes reminiscent of the Biblical story of Noah and his ark, Southwest Airlines took the extraordinary step this week of filling up the cabin of one of its planes with orphaned animals from flood-hit Houston. 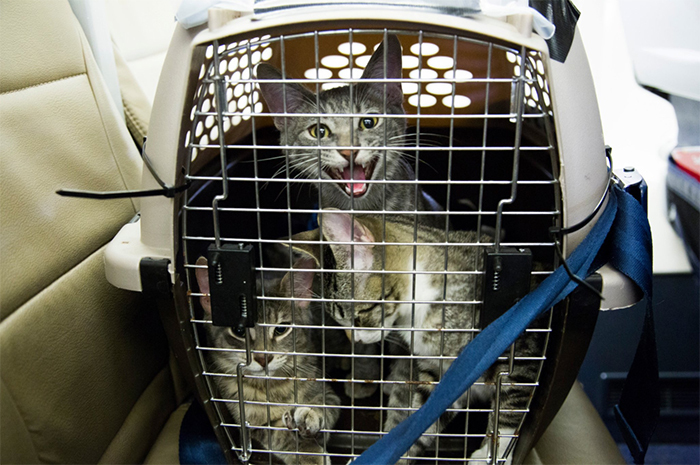 Animal shelters all over Texas are at maximum capacity after Hurricane Harvey devastated the region, leaving many pets homeless and desperate. 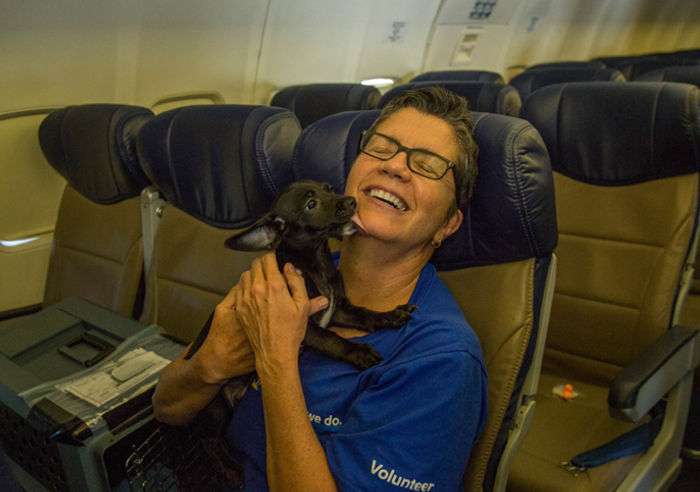 Enter Southwest Airlines, who together with animal rescue groups helped dozens of animals escape the floods, easing the burden on overworked shelters and creating room for more rescued pets. 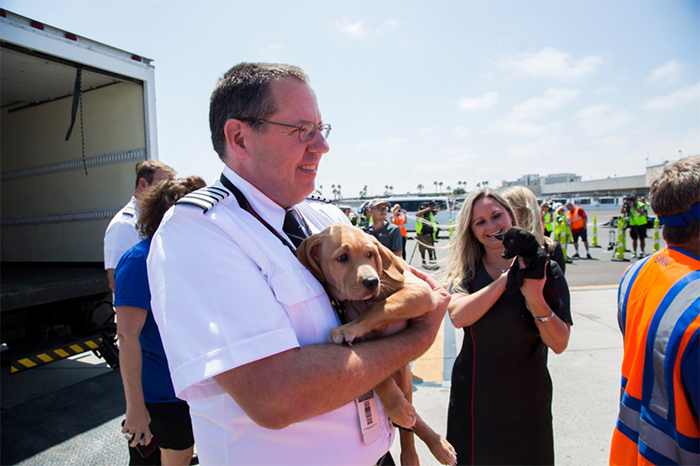 Flying the orphaned animals to the Helen Woodward Animal Center in San Diego, California was literally a life-saving gesture. 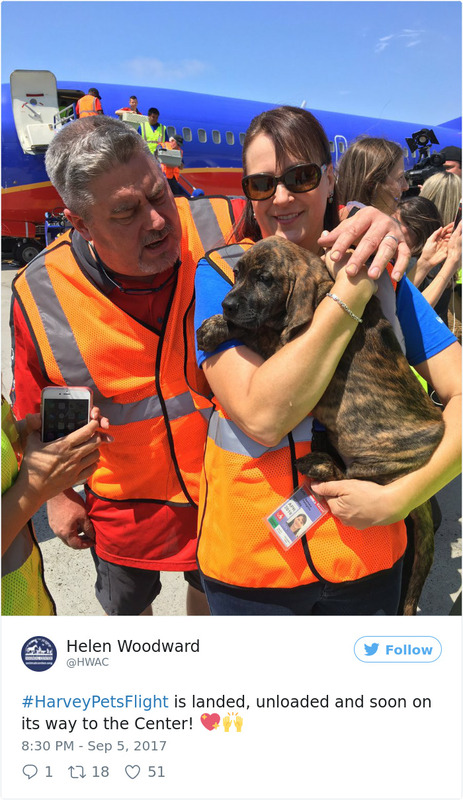 The Texas rescue group, Operation Pets Alive! 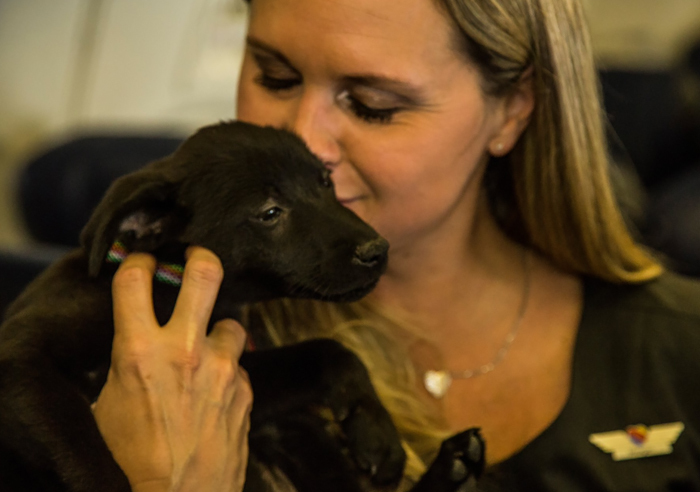 had taken in an overwhelming number of orphaned dogs and cats who had inhabited shelters before the storm and were suddenly facing euthanasia simply because they had no place to go. 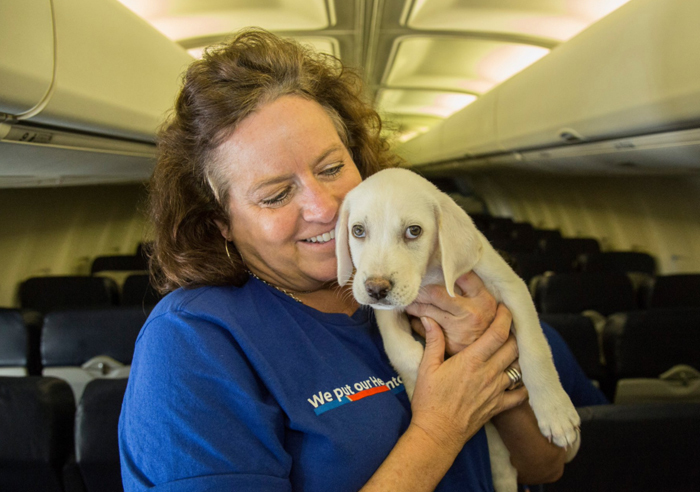 The joint operation between the Helen Woodward Center and Southwest Airlines to relocate these animals allows Operation Pets Alive! 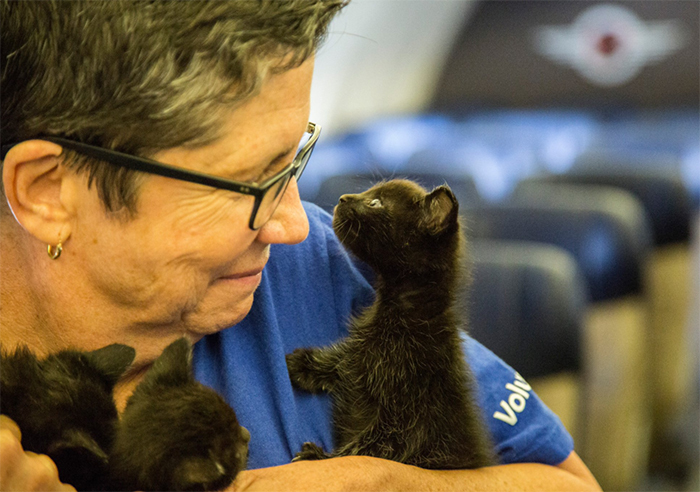 to increase animal rescue operations in Houston, as it begins to recover from the effects of the devastating hurricane. 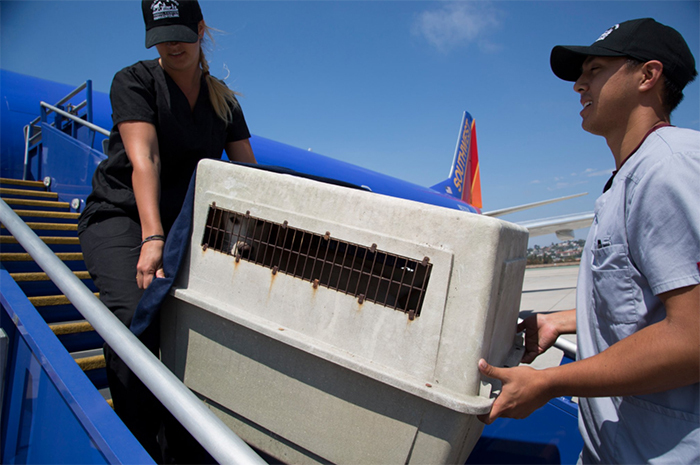 Volunteers helped board the animals into crates in the specially converted cabin of the aircraft, giving them a chance of a new life in California where it is hoped that they will eventually find homes. 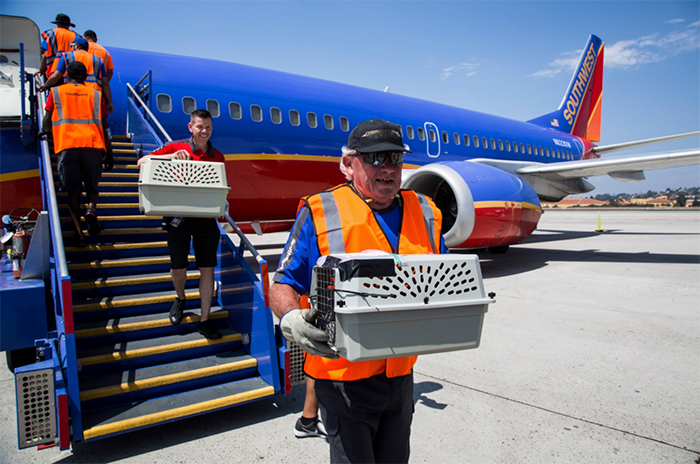 We don’t yet know if they had access to in-flight entertainment and meals, but we would like to think so! 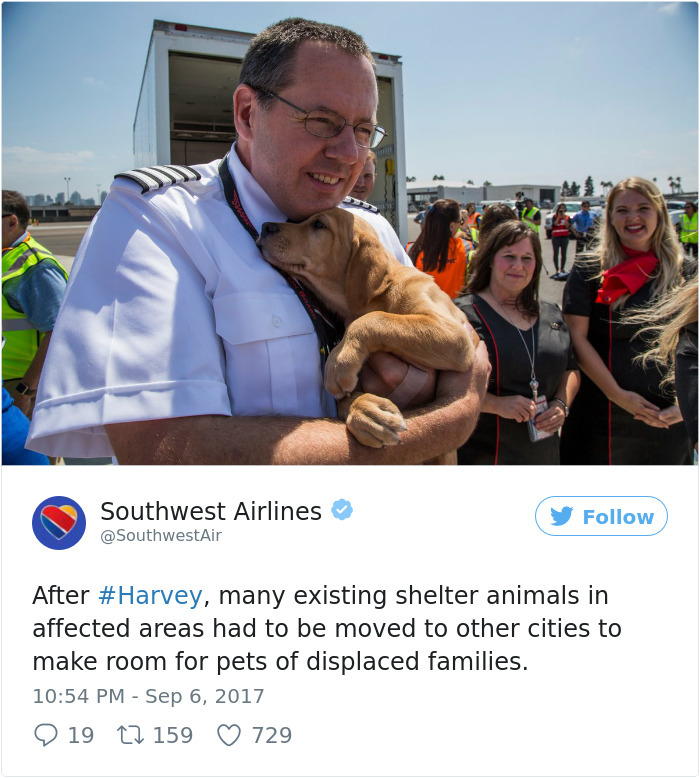 Anyone who would to help animals affected by the current storms in Texas and Florida are encouraged to adopt or temporarily foster pets. This frees up space in local shelters for animals left newly homeless or separated from their owners. Get in touch with your local shelter for more details.